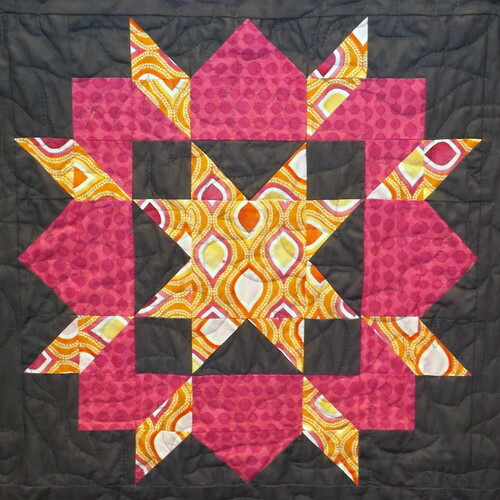 I finished those Swoon blocks on Monday, and nothing would do until I finished the top! So, I stayed up until about 2:30 AM last night, and sewed, and sewed, and sewed. I’m calling this quilt ‘Embers’, when it’s done. 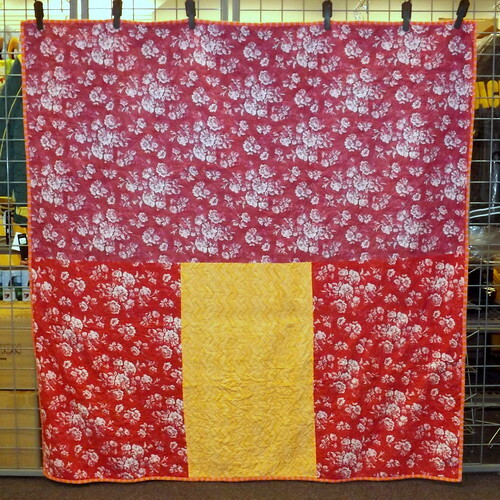 As you know, I reduced these blocks to 16″ finished. 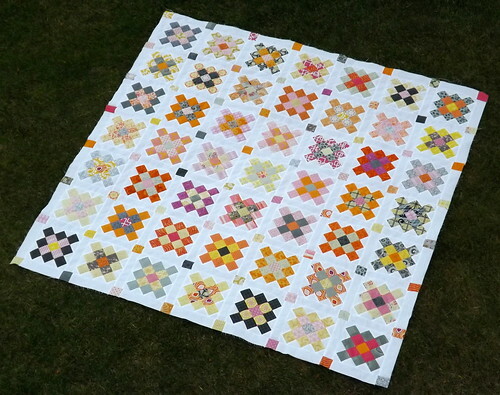 I then used 3″ sashing between them, bringing the finished size of the top to 79″ X 79″. 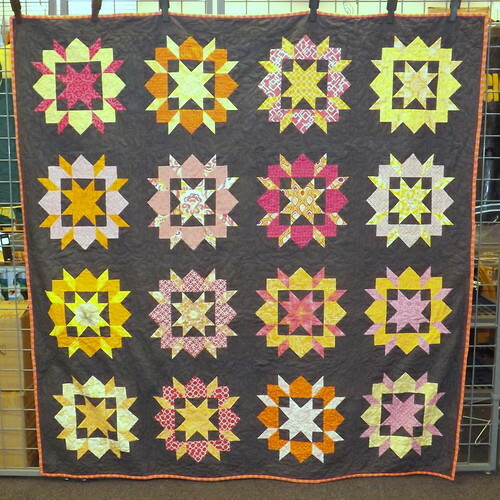 Each fabric in pink, orange and yellow are unique. I don’t need to buy any of these three colors for a very, very long time. My background and sashing are done in Kona Charcoal. I’m pondering quilting already, but I’m definitely planning on doing part of it in a fuschia-colored thread, because of the way it just glows against that deep gray. I’m tickled by how different this top is from Sunsets and White Beaches. Even though they use the same colors (pink, yellow, and orange), and even a good number of the same fabrics – they’re such strong contrasts! 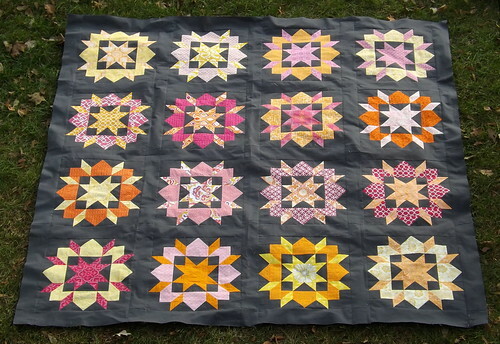 It’s about time I get to quilting, instead of piecing, don’t you think?